“On the final and climactic day of the Feast, Jesus took his stand. He cried out, ‘If anyone thirsts, let him come to me and drink. Rivers of living water will brim and spill out of the depths of anyone who believes in me this way, just as the Scripture says’ (John 7:38). Rivers of water are powerful. We know this power living at the shore. While it looks like the sandy beaches constrains the water, it is the power of the water that moves and shapes the beach. Jesus said that rivers of living water of the Spirit would flow from those who follow him, quenching every thirst. Our church was named for the cold spring nearby, a place of refreshment for all who pass by. But sometimes the rivers of life are hard to get to safely so we build bridges that make connections for us so that the river does not overwhelm, but remains accessible on our journey. 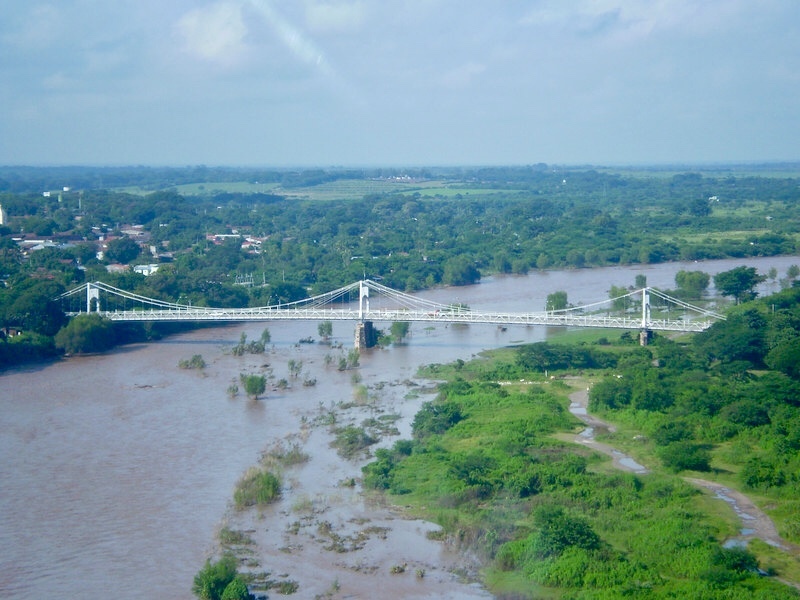 Take a look at the photo (above) of the Choluteca Bridge in Honduras. It was built by the US Army Corps of Engineers in 1930. It survived many storms providing safe connections from one side of the river to another, and easy access to the river bed below. Until Hurricane Mitch in 1998. Hurricane Mitch was a Category 5 storm that decimated Central America with more than 22,000 human lives lost and millions left without adequate shelter. Many lesser bridges were destroyed. Where did the river go? The hurricane couldn’t move the bridge, but the hurricane picked-up and moved the river making the bridge a bridge to nowhere. Sometimes we can recognize that our former “bridges” and “community connections” remain intact, but they are no longer anywhere near today’s community or its concerns. Since Jesus is the Living Water, the water of life, our mission as the bridge is to connect people in our communities to that Living Water. For the bridge to fulfill its purpose it must be in the river and connecting others to the river of life, too. Cold Spring Presbyterian Church has withstood the seasons and storms of life for hundreds of years. We’re still standing! We were build on a solid foundation. Our structures are strong. We just may not always notice that the water has moved. Our neighbors may not even know they are thirsty, but the accessibility to the Living Water is out of reach… unless we extend our bridge in every direction to reach people who need to see God’s love in action. (We’re the bridge!) Be Willing to Relocate the Bridge: When its really difficult to make new connections, what do you do? Stay rigidly in place, or adapt and grow until new connections are made. Spirit Bridges Are Flexible: We have many wonderful structures, our bridges, that need to be flexible to stay connected to the Living Water and the rivers of life all around us. Everyone is a Bridge-Builder, a People-Connector: Each of us has a gift, an interest, an experience, talent, or skill that can help relocate and reconnect our bridge to our community. Oddly, the word “bridge” does not appear in the Bible, but remember that Jesus is the ultimate Bridge-Builder, “as a plan for the fullness of time, to gather up all things in him, things in heaven and things on earth” (Ephesians 1:10). The Apostle Paul again wrote, “Even though I am free of the demands and expectations of everyone, I have voluntarily become a servant to any and all in order to reach a wide range of people: religious, nonreligious, meticulous moralists, loose-living immoralists, the defeated, the demoralized—whoever. I didn’t take on their way of life. I kept my bearings in Christ—but I entered their world and tried to experience things from their point of view. I’ve become just about every sort of servant there is in my attempts to lead those I meet into a God-saved life. I did all this because of the Message. I didn’t just want to talk about it; I wanted to be in on it!” (1 Corinthians 9:19-23). 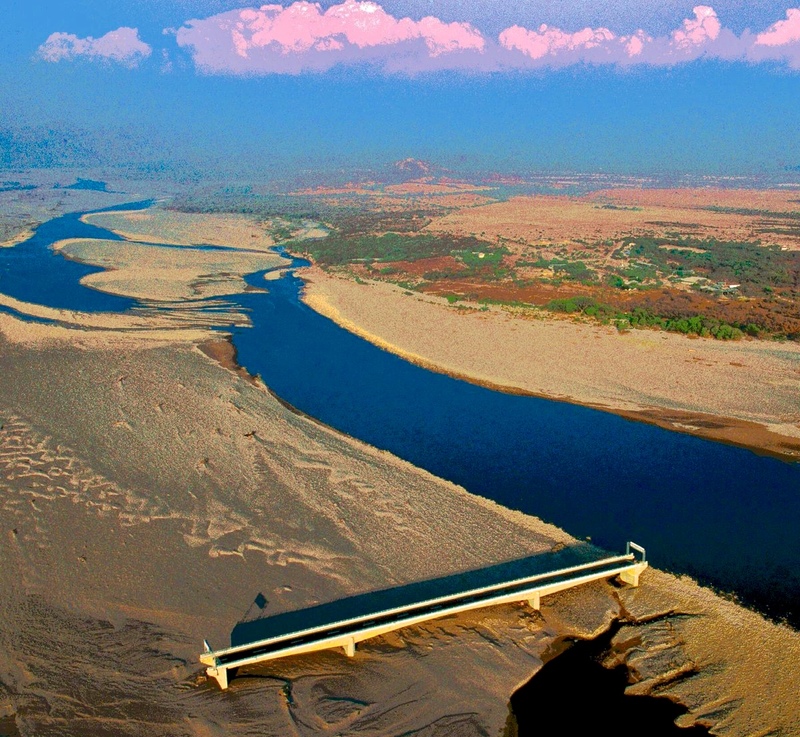 The Choluteca Bridge was a marvel of engineering but lacked the capacity to keep up with the river waters. Let’s be sure our bridges are making contact with people where they are by getting in the water, the flow of the Spirit, so even more can drink and quench their thirst. As a transformation specialist, consultant, and author, I equip individuals and teams to clarify their mission and achieve their mission, building capacities and new community connections. I teach U.S. and international students on the faculty of Drexel University Goodwin School of Nonprofit Management and City Vision University. Kevin believes that every church can deliver relevant and hopeful wrote about what he’s learned as a pastor and regional leader in his recently published book, *Crayons for the City: Reneighboring Communities of Faith to Rebuild Neighborhoods of Hope*.